Saddleseat equitation has always been one of my favorite classes to watch at horse shows – especially at the national level. I often find myself tearing up when the national champion is announced and half of the time I don’t even know them! Equitation riders at the highest level of competition make it look like a piece of cake, when behind the scenes it has taken years of diligent practice and hard work to get there. This is an intense discipline and when done correctly, is poetry in motion. Elaina Roeder, Isabella Templeton and Raven Gropp, all of Vicki Humphrey Training Center, had tremendous success in their classes at the 2016 Scottsdale Show and looked beautiful in Show Season while they were at it. I decided to ask these ladies about their love of the sport and if they have any secrets to their success. SS: What is your favorite thing about equitation? Elaina: Equitation is incredibly intense and challenging. It is the most rewarding when all of your hard work and practice has paid off with a good ride. Isabella: I like the challenge of equitation and the precision that it takes to really nail a pattern. Plus, you establish a great bond with your horse. Raven: My favorite thing about equitation would have to be getting dressed up in a formal after 6 o’clock. I also enjoy getting to pick your own music for your pattern. Since I compete in four different styles of equitation I have a lot of music to pick for each horse. SS: Do you have any pre-class rituals for good luck? Elaina: I like to be by myself and focus on my pattern. I visualize my ideal ride and what I feel will be most difficult for my horse and me. Isabella: My pre-class ritual consists of listening to music. I start with some classical music to chill and relax. When we are getting close to heading up to the ring, I change it to something that pumps me up. Raven: No. The more I can keep my mind off of the class the better. I’m not one to get dressed 2 hours before my class. When my horse is getting ready is when I start, that way we finish at the same time and head up to the ring together. SS: What has equitation taught you that you can apply to real life? Elaina: Equitation is a team sport between the rider and the horse. It is unpredictable and sometimes things don’t happen as you expect. As a person you have to keep pushing through your struggles and enjoy your successes. Isabella: It has taught me so many things. Especially how to think quickly on my feet. Patterns will rarely go as perfectly as you planned them in your head, but you can’t just quit when it doesn’t go your way. You have to keep going, and that is exactly what you have to do in real life. 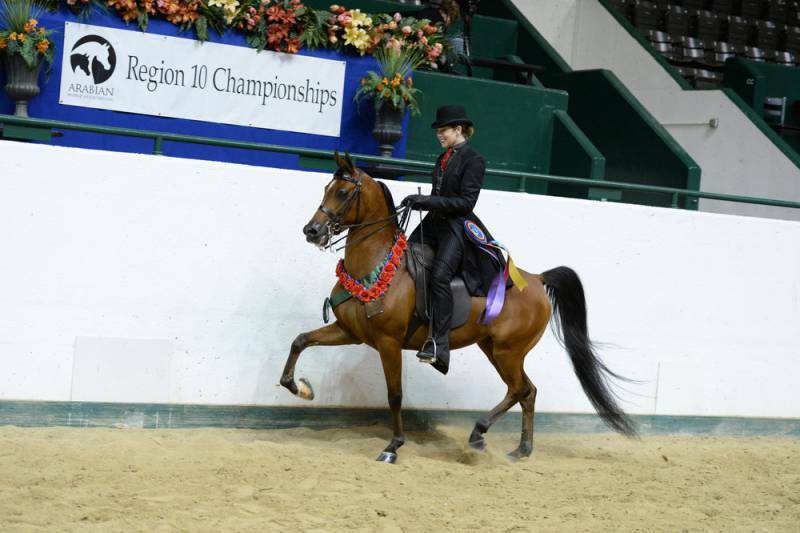 Raven: Equitation has taught me that if you work hard, you will be rewarded. It just takes a lot of hard work and patience. It was great to get to know these ladies and learn more about their preparation for success in the show ring. We wish you all the best of luck in 2016! When someone mentions Prestige Farms LLC, you most likely think of the countless national winners they have bred, shown and sold. Aside from breeding some of the finest English horses, the Schimmel family has been a fixture in the Arabian horse industry for the past forty years. Each generation of the family is involved as this tight-knit clan is all about supporting each other inside and out of the show ring. 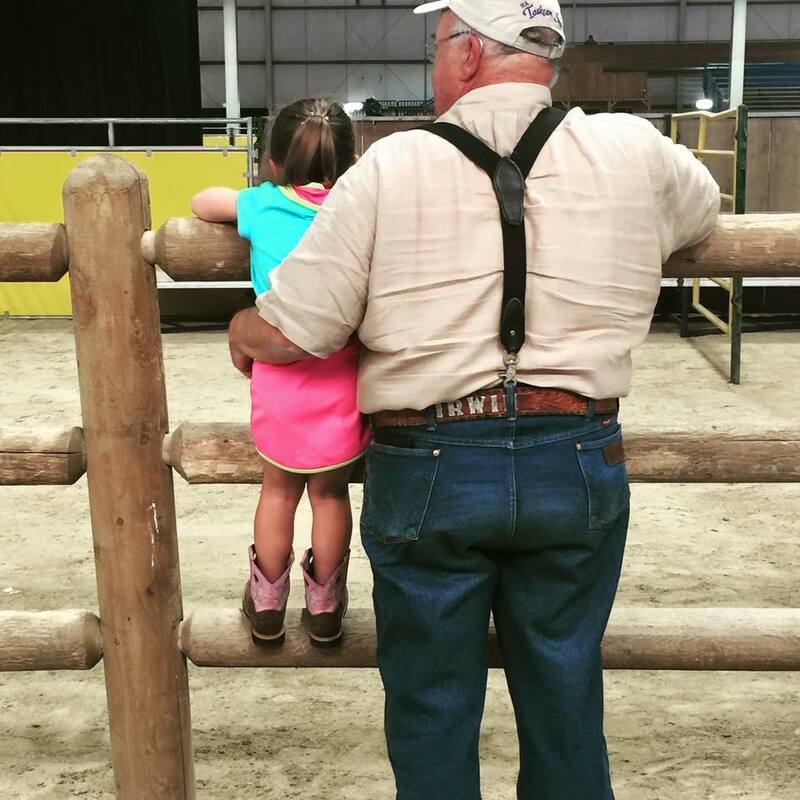 The youngest member of the Schimmels, Patience, learned how to ride when her grandpa Irwin started taking her to the family farm in Hillsboro, Oregon. It came naturally to her as she started riding on her own at just 3.5 years old. 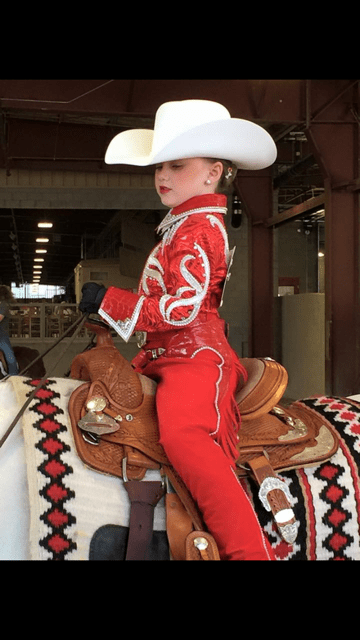 She began riding on a lunge line in a bullpen on one of the horses that her older cousins had shown, Cohiba Baby, and has learned a lot from that special mare. Just this last fall, Patience got her own horse, In Search of Diamonds (affectionately known as Rocky) to show in walk/jog. The 2016 Scottsdale Show was Patience’s debut into walk/jog from leadline at only 5 years old. Patience’s aunt, Theresa Schimmel-Spencer was thrilled at how the show went for her niece and how her wonderful horse, Rocky, took care of her. “Patience improved so much by the end of the show! With the big arena full of people in the stands, it was easy for her to get distracted with all that was going on. Rocky was so well-behaved and did his thing – he is really special. By her last class, she was an old pro and had come so far,” Spencer said. As for her Patience’s western outfit, Schimmel-Spencer loved how the contrast to Rocky’s pinto coat. “I loved how the bright red popped against Rocky – after we chose red, we gave Melissa free reign on the rest of the design,” Spencer explained. They were so excited about the end result. For the rest of 2016, Patience will show at the local shows around Oregon and Washington, Region 4, and hopefully Youth Nationals. They also hope for her to show saddleseat in the future. We wish Patience and the rest of the Schimmels the best of luck – thank you for letting Show Season be apart of the ride! 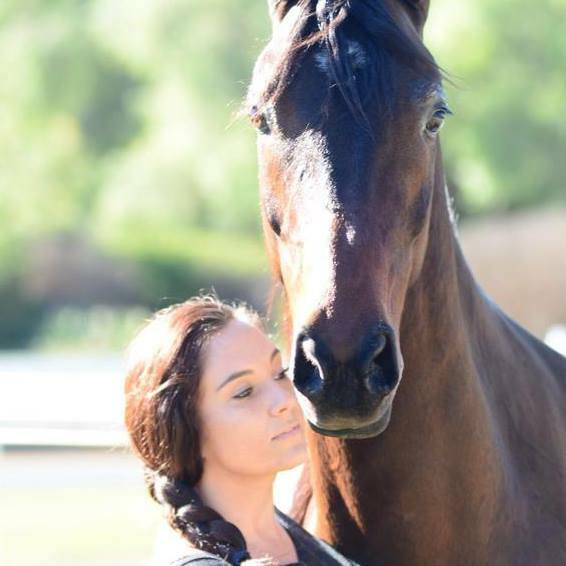 Horse trainer and riding instructor, Alexis Scott, discovered her love for the Arabian breed early on. 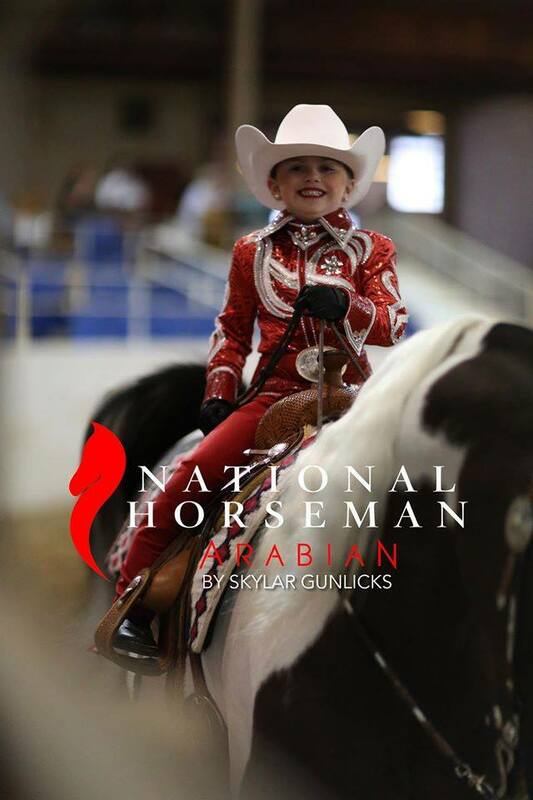 “I think at that first moment it was that there was just something different about the Arabian. A kindness in his eye and a gentleness around people and children, different from any other horse at the fair,” she says. Which is why, when Alexis’ parents approached Lyric Phillips for the first time about buying a horse and getting into showing, they were adamant about wanting an Arabian. “That’s the approach I take with my clients today. For me, there’s just no other option as far as breeds are concerned,” Alexis explains. Having won many titles on a regional, national, and even international level, Alexis has now dedicated herself to training others. In fact each one of her ‘kiddos’ came home with Top Ten honors from Youth Nationals last year. “In my opinion it’s just as rewarding, if not more, for them to do well, as it is for me personally,” says Alexis. Alexis Scott: I like simplicity with a pop of color. Something that I know will look good no matter what I throw together. When you’re changing outfits on the fly it’s not practical to stand around and think about what’s going to go with what, so everything has to be interchangeable for me. AS: I do love a good formal. There’s a feeling that goes with wearing one that you can’t really replicate. It’s probably a residual Equitation rider thing, but formals will always be my favorite. SS: What is the one thing you never go in the ring without? AS: Good undergarments!!!! They say that on the Red Carpet the most important thing is the undergarments under the dress, and I think that’s true for riders too. You don’t want anything bouncing around or riding up the wrong way when you’re in the middle of a class. It’s distracting and uncomfortable, and it reads on the rider when something is bothering somewhere that it shouldn’t be. I mean, it’s really hard to focus when you have a major wedgie. Seriously. AS: Pretty much the same as my horse show style. I like really easy stuff that I can just throw on and go. I don’t like having to browse around in my closet and think about what to wear. Everything goes with everything so I can just get dressed and get on with life. AS: The easy answer is defending the Gold Medal at the 2006 Saddle Seat World Cup, and it was definitely a tremendous honor to make that team and represent the US. However, I think even more satisfying than that is seeing my riders succeed in the show ring under my instruction. It’s always rewarding to accomplish something yourself, but when someone else is able to accomplish their goals because of my guidance, it takes the reward to a whole other level. AS: Well, I just found out last month that I’m expecting a little one, so for the immediate time being it’s getting through the show season without morning sickness and stretching my show clothes as far as I can. Long term, though, it’s getting all of my riders to the top. They all have a fire in their belly and a hunger for that rose blanket, so I’m looking forward to helping them facilitate their goals as riders. They all want it bad! AS: Without question the person who has influenced me most, and still continues to do so, is Lyric Phillips. Her ability to tune in to a horse and rider is un-matched. She inspires me every day to be a better trainer, instructor, and mentor to my riders. 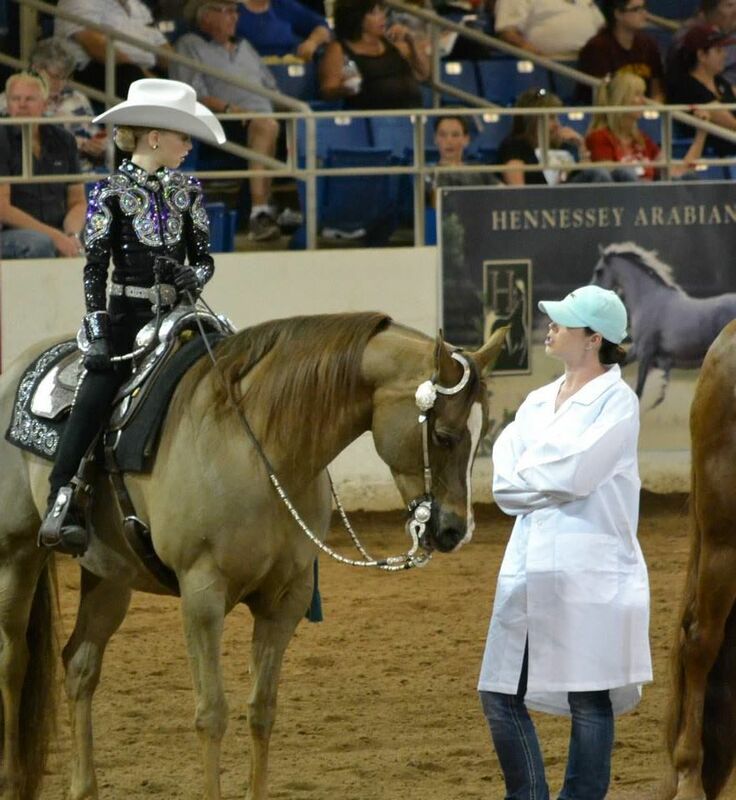 I had the pleasure of interviewing Show Season rider, Carrie Fritz, this month. 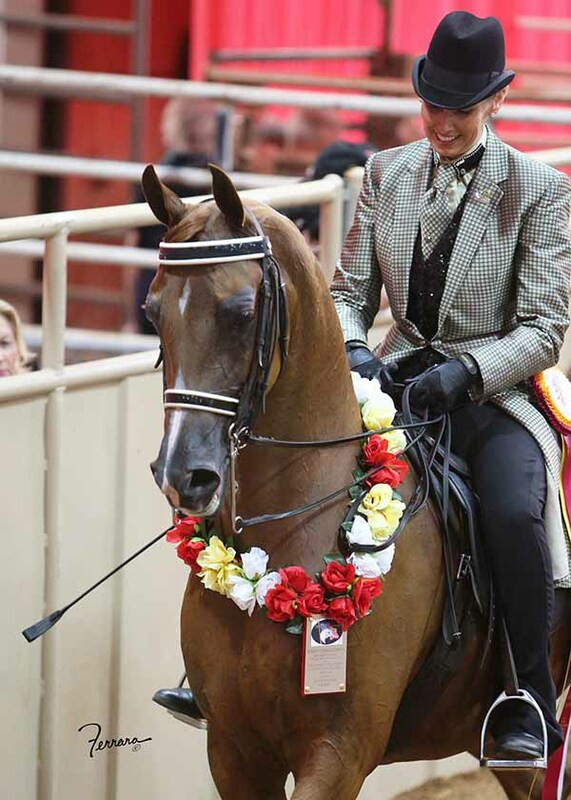 Carrie has been showing Arabians since 1985, when she and her sister, Leslie, fell for the breed and teamed up with Gordon Potts. “Gordon was at LaVerada in north Texas at the time. 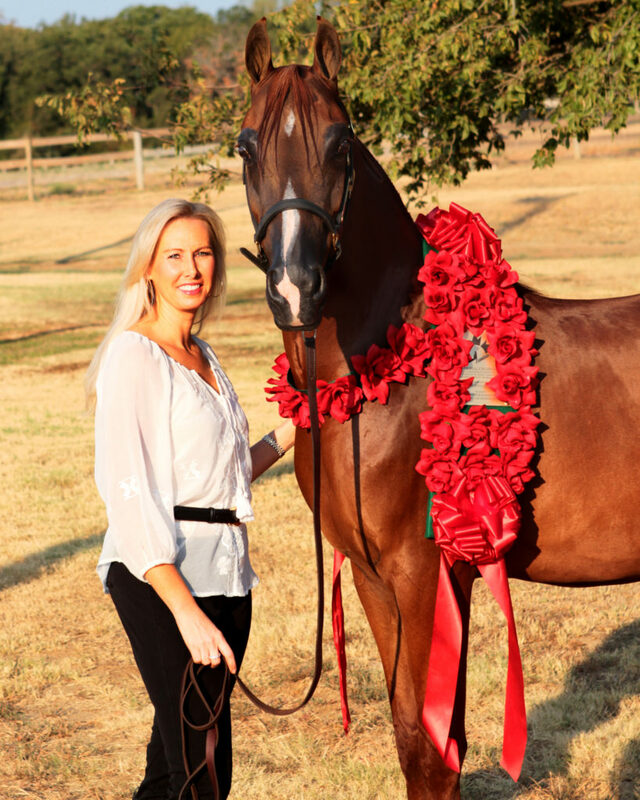 We owned a few Arabians previously, but the Chestnut stud named Donsetta Jabask, who we bought from him, was the horse that got us hooked on the breed,” says Carrie. Since then, Carrie’s list of Champions with Potts is a lengthy one. But one of my personal favorites has always been AmericanBeautie, who Carrie went reserve on last year in the HA Country Pleasure Driving (it was Beauties 26th National or Res. National Championship!). Carrie Fritz: Overall, I would say I am pretty conservative. I like a very tailored look. I love day coats and am not a fan of Derbys. SS: What is your favorite head­to­toe riding outfit? CF: My very favorite outfit is a black and tan hounds tooth day coat from Show Season that I bought right before Nationals in 2013. I wanted something special to wear on AmericanBeautie, for what I thought was my last time to show her. I was lucky enough to wear that same coat on her again last year at Nationals when we went reserve! CF: I have a lucky pin that I wear on my suits; it has a Shamrock on it. CF: A good coach on the rail! SS: How would you describe your non­horse show style? CF: Something most people don’t know about me is that I have a degree in fashion design and merchandising, and I attended the Fashion Institute in Paris, France. I’m not sure I’ve used my degree much because at home I’m a jeans and T-shirt girl. CF: My very first U.S. National Championship was unanimous. CF: I am going to try my hand at showing western this year. It’s something that I am very uncomfortable with, but I want to concur my fears and give it a whirl. 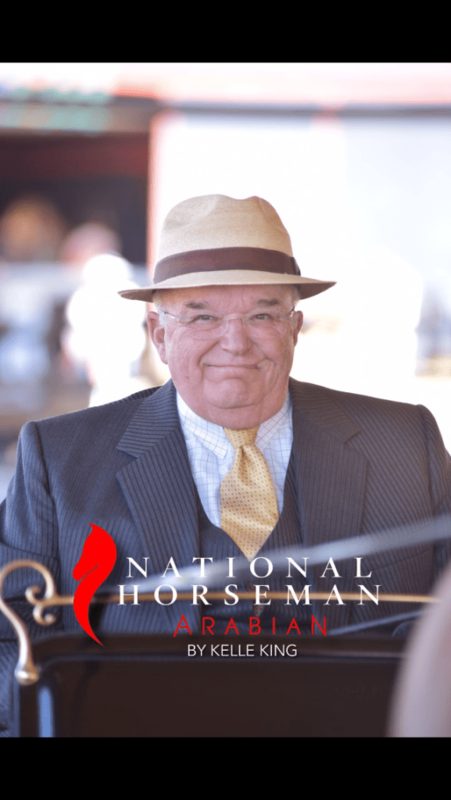 CF: I have had two big influences in Arabian horses: Gordon Potts, who has been a mentor for me from the beginning, and my sister Leslie, who has always been my partner in crime! This month I’m pleased to introduce Show Season rider, Ms. Jamie Costanzo (or, as I call her, Hi-Mae), who is not only a fab fashionista and rider, but is also my cousin. New(ish) to the amateur horse show community, by no means is Jamie new to the world of horses. In fact, some of my fondest memories growing up are of the two of us and our horses, ripping up trails like a couple of Indian children, all the while laughing like wild animals. I guess you could say it was in our genes to love horses. Just as we both grew up riding together, so did our moms; and they were both the ones who introduced us to this passion/obsession. 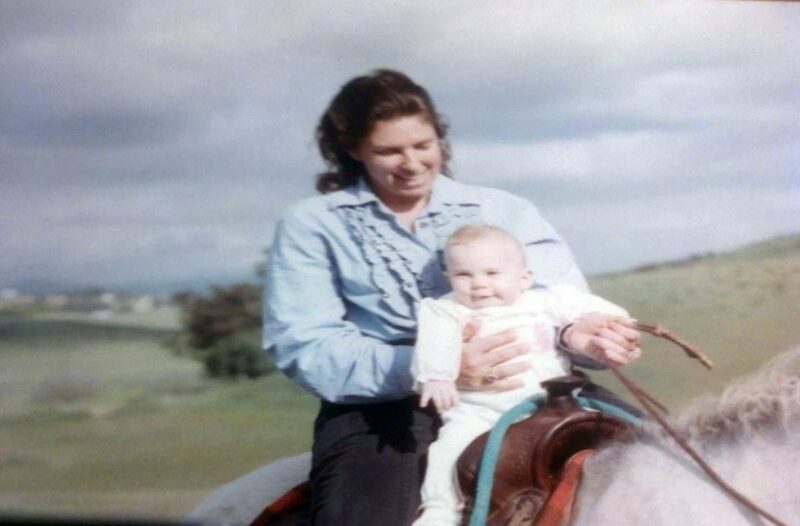 “My dad recently sent me a picture of me as a baby riding a horse with my mother. I grew up on the back of a horse! My mom also grew up riding horses; my whole family has always loved them and viewed them as part of the family,” says Jamie. Jamie and I even showed as youths together for a couple of years with trainer, Kimberly VerHage. But then, for Jamie, life got busy, and she took a hiatus from the show world. 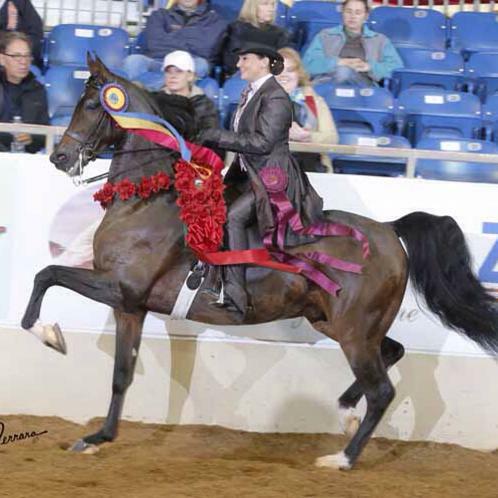 Although she continued to ride for pleasure at home and at the local barn by her house, it was not until 2013 when Jamie dove back into the show scene. 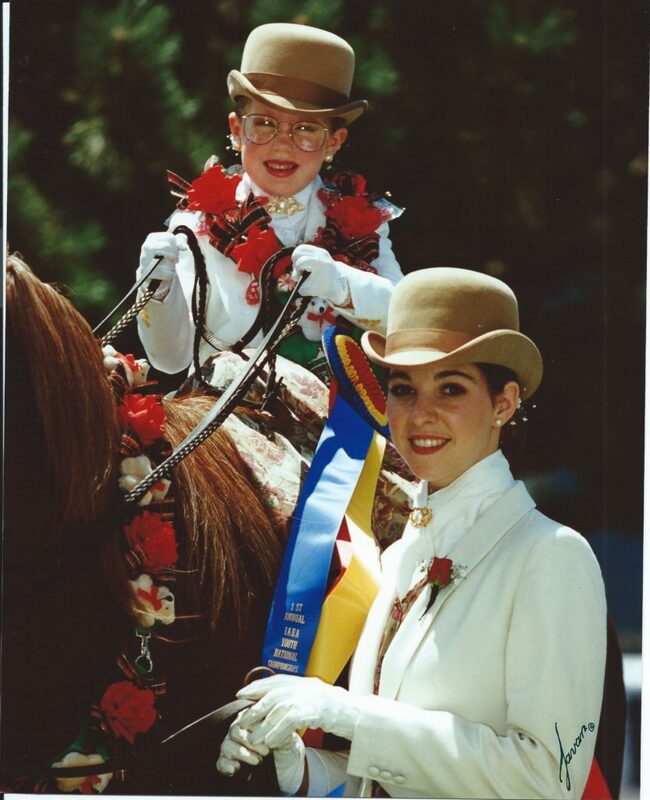 That year Jamie became a ‘Lowe rider’ (aka, riding with trainer, Jim Lowe), and won the U.S. National Champion title in the H/A Country English Select class, with her horse Prince James SF (or as she calls him, Yamison). She followed 2013 with another amazing year in 2014, going Top Ten in her first ever US National’s amateur class. 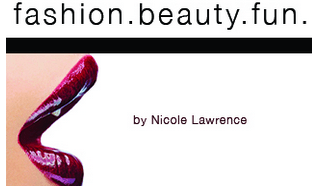 Jamie Costanzo: I am drawn to the more rich earthy tones, enhanced with a little added “bling” to make it stand out. When creating a new Show Season suit I always start with a brown or burgundy coat that has some sort of metallic expression. The gold and bronze tones always tend to catch my eye. I try to add a little personality in my outfits, while still maintaining an elegant polished look. JC: The suit I designed with Mellissa last year at Region Two is probably my favorite. The coat is a rich chocolate brown with a little sheen to it. Underneath it we came up with a complimenting vest that has intricate winding sequins in champagne, copper, and bronze. The shirt I am most fond of with this outfit is made of a burgundy silk material. And the final touch is a tie, which compliments the mood I am in! JC: I do not have anything specific I wear for good luck while showing. Just having my family there with me is my good luck charm. JC: My horse! Love my Yamison. JC: Very similar to my show attire. Lots of earthy tones… I am not terribly fond of bright colors, although, I do love turquoise and purple. I have too many Free People outfits, and my favorite pair of shoes are a pair of over the knee, worn-in brown boots that have the top lined in small metal studs. I actually bought them at Nationals two years ago, and now I never go anywhere without them! JC: Treating my animals with care and compassion. I love them like they are my children and will care for them until I can no longer. They make my life full, and I try to make their lives full and healthy as well. I cannot imagine my life without them! JC: Currently, I have an obsession with reigning horses. I may have to wait until after Veterinary School, but I think it will be my next equine “investment.” I wouldn’t mind having a horse I could be a bit less cautious with than I have to be with my show horses. I miss reckless trail riding with a nice, surefooted horse. JC: There is no one person who has been influential in my riding. I would say my family as a whole is the foundation to my riding. When I go home to San Diego I ride at my parent’s house, or I ride at my aunt Lori and cousin Nicole’s house. As for the horses, they have had too large of an influence in my life to name one relationship that has been the foundation of it all. However, it was my mother who put me on my first horse. And her and my dad rarely miss a show.